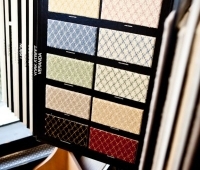 Wirebrushed, 5″ Wide Planks, with choice of three stains and matte UV finish or only our Nano Plus clear matte UV finish. Live-sawing is actually the oldest, most traditional method of cutting lumber, but its popularity waned about a century ago. At last, Maine Traditions has revived this time-tested sawing technique for the introduction of our Live-Sawn Rangeley Collection. The rough lumber used to create the Rangeley Collection is parallel cut in the traditional “live-sawn” method used in past centuries. In simple terms, when we live-saw a log, we start at one side, and work our way through to the other. This results in a natural mix of boards–plain sawn first, then rift sawn, and quarter sawn boards from nearest the middle of the log. 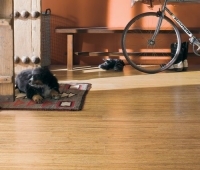 The Rangeley Collection of Live-Sawn Red Oak flooring features a wire-brushed face which lends subtle texture and depth, leaving the impression that the flooring has gently weathered over the years. And to further enhance these handsome floors, we have applied our proprietary Nano PLUS Matte UV finish. 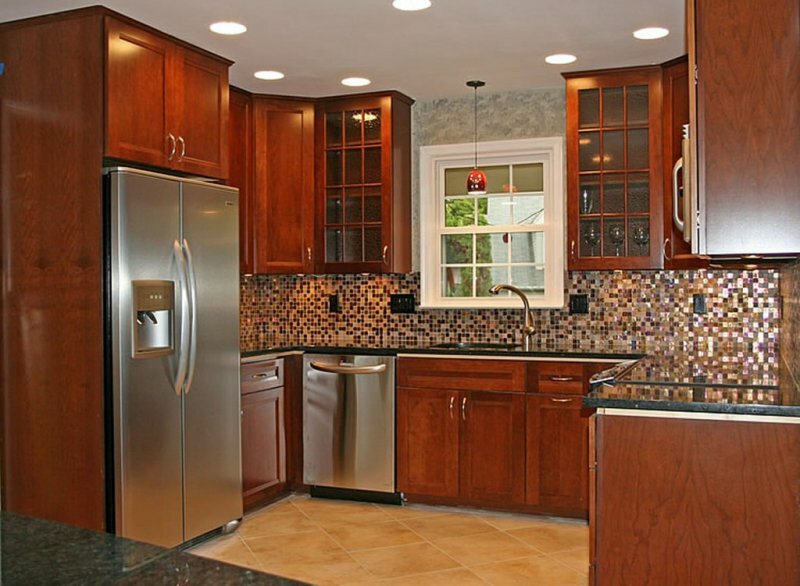 Fitting into almost any décor – a rustic lodge cottage, a modern kitchen, or nearly any application that calls for a truly distinctive look – these handsome floors lend themselves to casual, livable homes, old house restorations and even the most contemporary homes. And most of Maine Traditions Red Oak is now milled in its new Tamworth, NH location. Talk about shopping local! 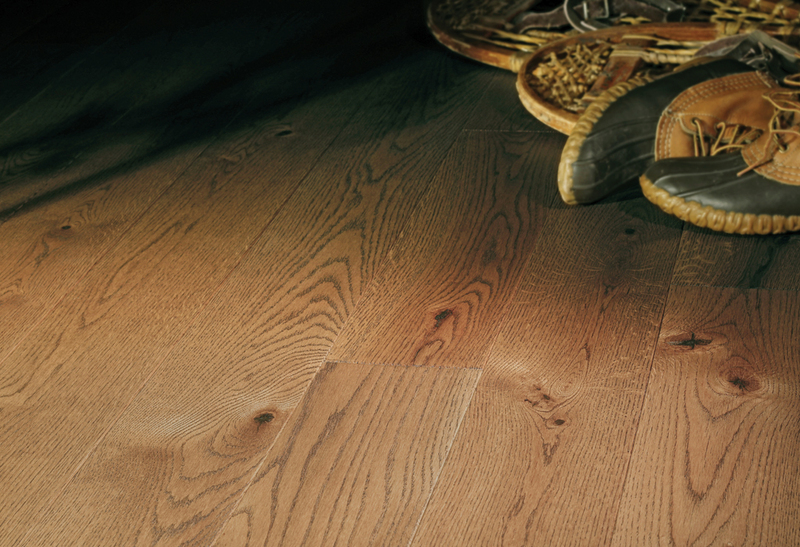 For more information on all Maine Traditions flooring, see Maine Traditions Web Brochure Fall 2014. 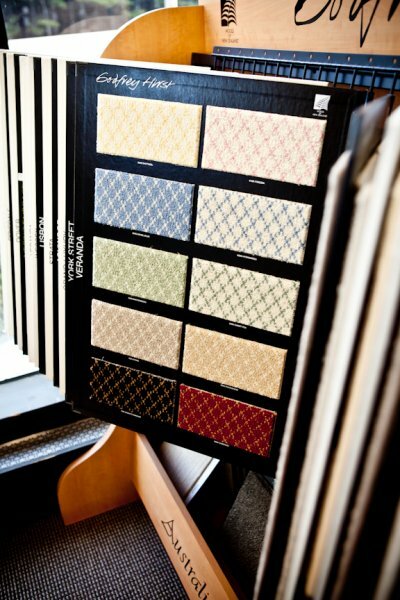 Milford Flooring now has an extensive selection of Tuftex carpet from Shaw. 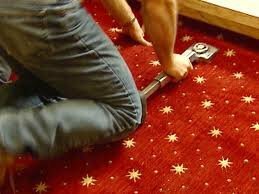 Tuftex carpets are 100% Anso nylon and many have Stainmaster protection. 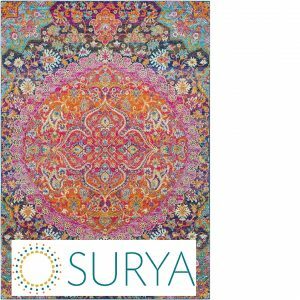 They have some wonderful designs, and if you install that carpet in New Hampshire or Western Maine by February 28th, you will get 20% off the price of the carpet. 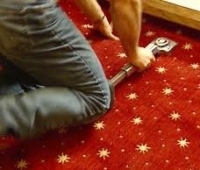 For more information, visit tuftexcarpets.com for more information and a complete listing of their carpeting styles! Three of Milford Flooring’s tile installers and Michael Murphy, Milford Flooring estimator, recently attended Schluter Systems installation trainings in Portland, ME and Nashua, NH. Schluter Systems offers a wide variety of products and techniques that address common tile installation challenges such as transition and edge-protection profiles, prefabricated corner and movement joints, waterproofing, uncoupling, and drainage membranes, floor drain systems, modular screed systems, shower systems, and assemblies for balconies and terraces. Durin g the training, installers had the opportunity to apply the techniques demonstrated through hands-on mini installations supervised by Schluter staff, and the installers felt they learned a tremendous amount from the session that they will be able to apply to Milford Flooring tile installations. 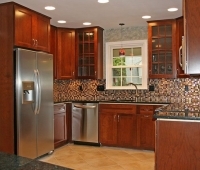 To learn more about Schluter System products, please go to their website at http://www.schlutersystems.com/. 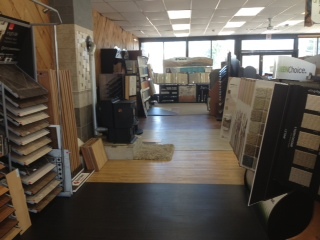 Milford Flooring expands local hardwood flooring options! Milford Flooring is excited to announce its expansion of displays from both Maine Traditions Flooring of Solon, ME, and Preverco Inc of Saint-Augustin-de-Desmaures, Quebec. Both vendors provide superior northern hardwood flooring, and offer the ability to purchase directly from the flooring manufacturer. . Preverco Territory Manager, Christopher Golanski, states, “Now that Milford Flooring is displaying our full line of hardwood flooring options, they become a part of an elite core of dealers that are able to offer its customers our full range of products – at over 1000 different product options, they now have a floor for every customer’s taste and installation environment. With our manufacturing facility producing the majority of its flooring products on a two week rotation, we should have sufficient inventory to full the majority of the orders we receive very quickly.” Learn more about Preverco flooring at www.preverco.com/en and about Maine Traditions Flooring at www.mainetraditionsflooring.com.